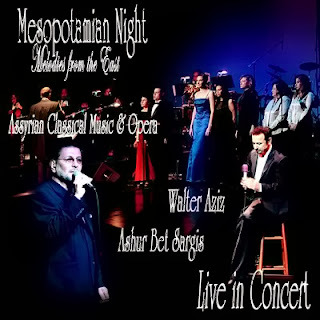 Mesopotamian Night DVD/CD on Sale now!! 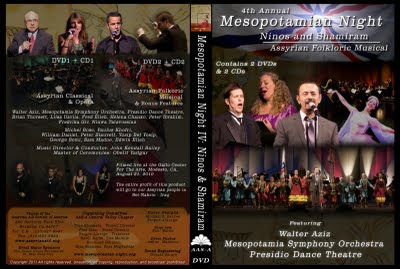 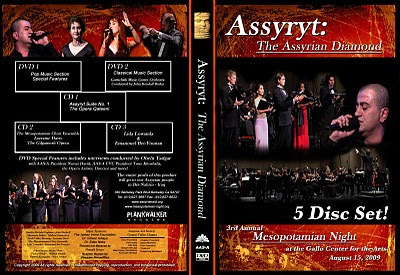 5th Mesopotamian Night (2012) DVD/CD Set Released! 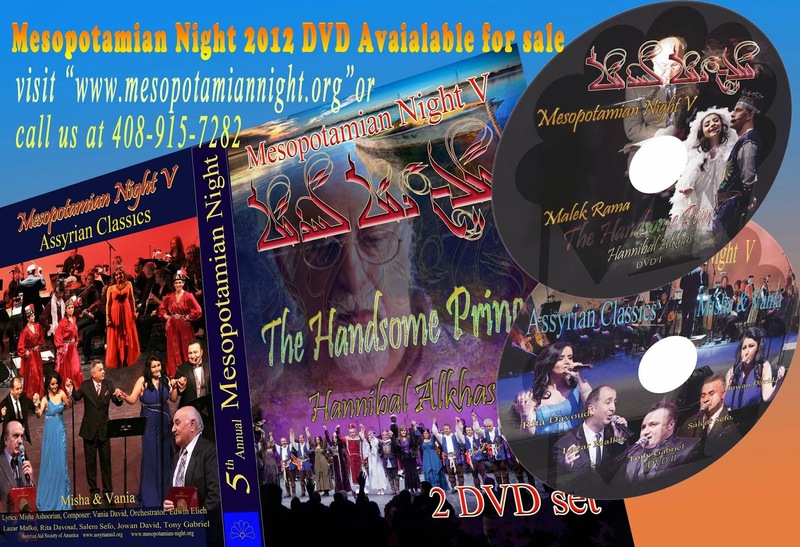 CD-1 Includes the full performance of the musical: "Malek Rama: The Handsome Prince"
Be My Queen “And Bear My Child"
CD-2 Includes the Assyrian songs of Vania David and Misha Ashoorian.